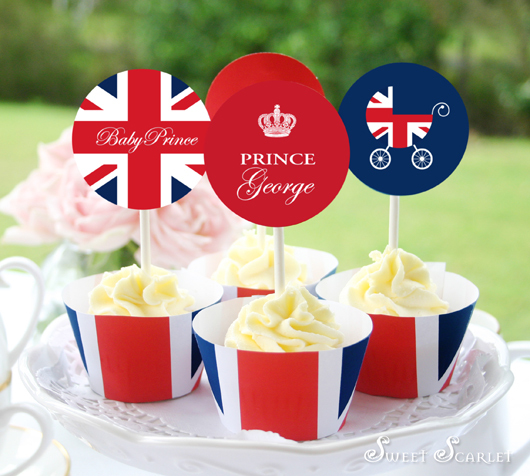 As soon as I heard the announcement of Royal Baby George's name, I swung into action and designed this free Printable set to commemorate the occasion! 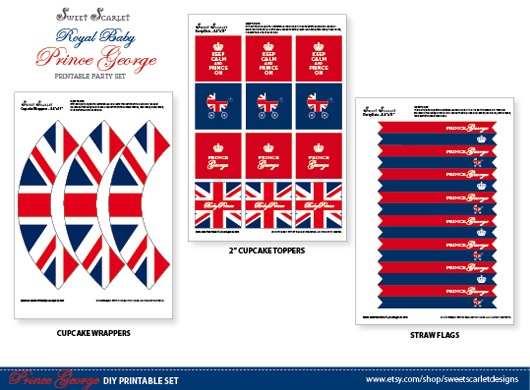 The Set includes: 2" Cupcake Toppers, Union Jack Cupcake Wrappers & Straw Flags. cute! do you offer any of these that are customizable for other names? Hi, I'm grateful for your royal baby's printable! I used with a friend in France to celebrate the royal birth. I put a link to your beautiful website. You can see tomorrow the post on our to blog : www.londrespourlesenfants.com and mine, www.mesfabrications.canalblog.com. Thanks so much Amélie! So glad you like it. Billed at time of purchase.